Sadly though, I have an exam today :( Oh yeah, and it's in my least favorite class. Why does this always happen to me? Last year today, I had a Biology exam (ugh), and now it's on the history of the middle east. Thank goodness that my history class is the last one I have to endure for the rest of my college career! After this semester, I can finally get to the good stuff: Nutrition, Metabolism, Food Service, Anatomy, Physics, etc. And don't worry, I studied for the test so I'm not procrastinating by blogging or anything . . .
Plus, shouldn't I get some free time on my b-day? Free time with ice cream is a great time. 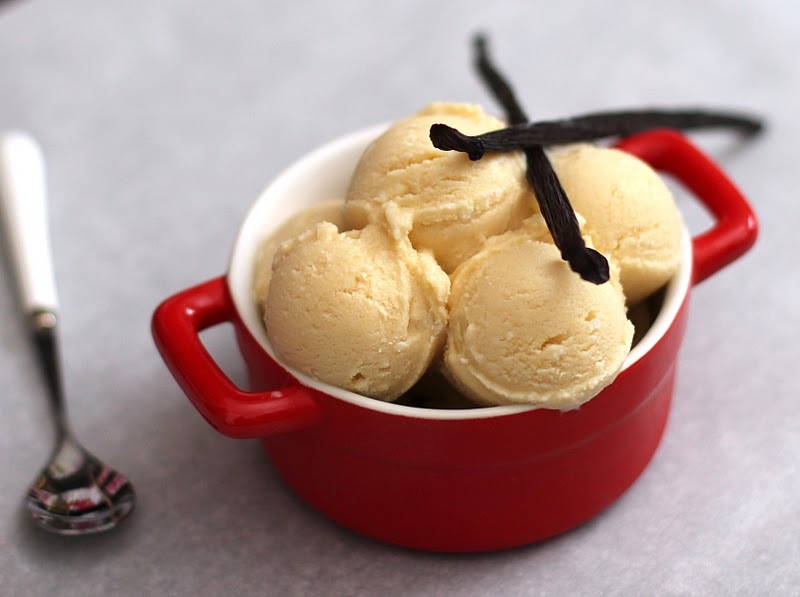 Free time with deliciously creamy, very vanilla-y and oh so sweet ice cream, is a perfect time. Delectable by itself, sandwiched in between two Peanut Butter Oatmeal Cookies, on top of a warm slice of Pound Cake, or added to a smoothie to transform it into a milkshake! 4. Follow your ice cream maker's instructions and then enjoy! 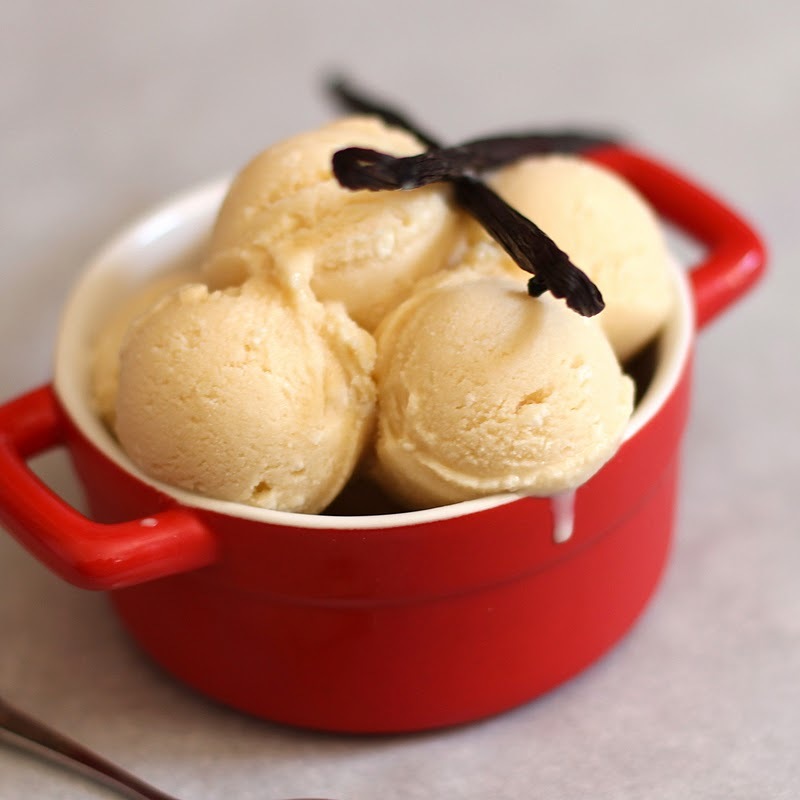 Even though this ice cream needs to sit on the counter for a bit to thaw, you will be glad you waited--it turns into the perfectly scoopable ice cream that is exactly like store-bought kinds. It wasn't too hard to scoop, it wasn't half melted, it was perfectly soft, sweet and delicious. Happy birthday! This looks great. Happy birthday! I hope you still enjoy it. I once went to exam prep for the whole day on my b-day. I didn't get to make myself delicious healthy ice cream like you so it looks like you're having a good birthday to me. Just go out and celebrate later ok? Thanks Samantha Erin and Kat! Kat, exam prep for a whole day?! :( I wish I could've shared my ice cream with you! Happy Birthday! Thanks for procrastinating and making this healthy vanilla ice cream ;) It looks super good! 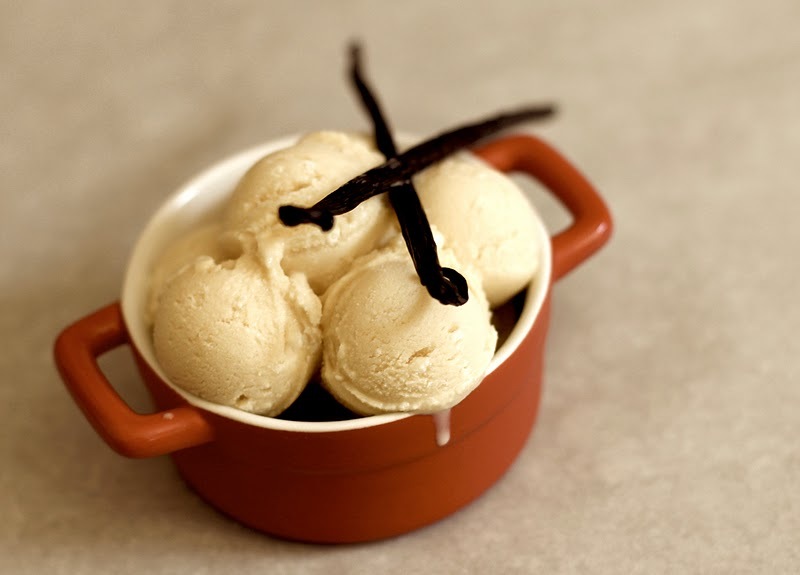 Out of all the ice cream I've made I have for some reason never made my favorite classic - vanilla. This recipe looks delicious. Ah! I'm late to the party on this one, but HAPPY BIRTHDAYYYYY!!! And oh my gosh this recipe looks awesome! I've been craving ice cream like mad because the supermarket stuff is filled with high fructose corn syrup, or a ton of cream. But this looks amazing! I can't wait to try it ^_^. Unlike most college students, I am health- and fitness-conscious! I unveiled my love for baking in my tiny dorm freshman year, and with "Nutritional Sciences" as my major, I bake using only good-for-you ingredients, while attempting to make the end product not only unique and good tasting, but beneficial to life. Copyright © 2011-2012 Chockohlawtay - All Rights Reserved. Powered by Blogger.